IT Communications and Energy convergence, or ‘ICE’ as I like to call it, seems to be here. The data industry is an energy industry: data centers are benchmarked and marketed by their Power Usage Efficiency (PUE), and the major data players (Facebook, Google, Apple etc.) are all busy building renewable energy-powered data centers with reduced carbon footprint and green credentials. 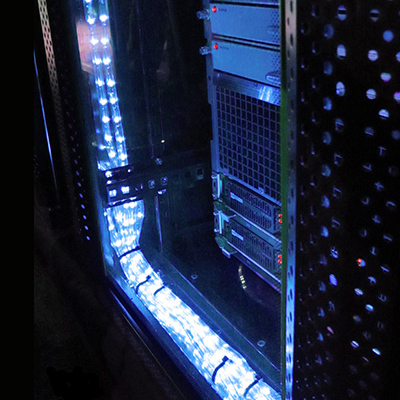 Moreover, data centers are moving to where the energy is located. Given that renewable energy is immovable, tied to its environmental resource (wind, waves, hydro, solar), data centers are increasingly moving to where the resource is – to the stormy, windy edge, for example. But these locations are often experts in building local-owned, self-determined networks. Rendering of Facebook’s future data center. For example, both Facebook and Apple are building data centers in wind-powered Denmark; Google has built a data center with new cooling technology in coastal Hamina, northern Finland. This whitepaper on ICE convergence draws on a range of research, from Software Defined Networking to Infrastructure Studies in STS, to consider the opportunity for a more resilient, locally-owned and renewable-powered data center industry. It is a thought-experiment, and comments and reflections are welcome. Copyright © 2019 Sand14. All Rights Reserved.